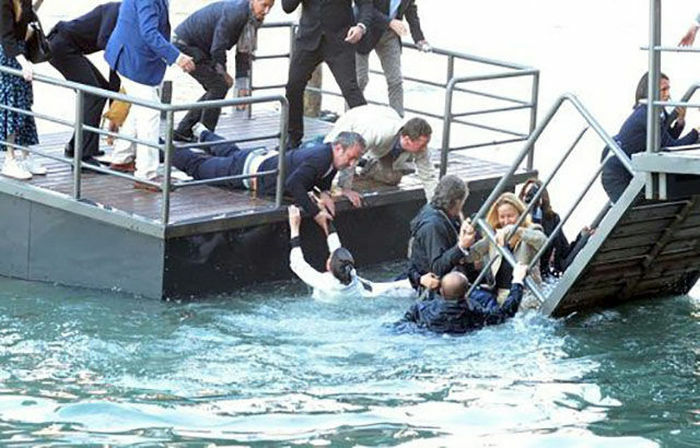 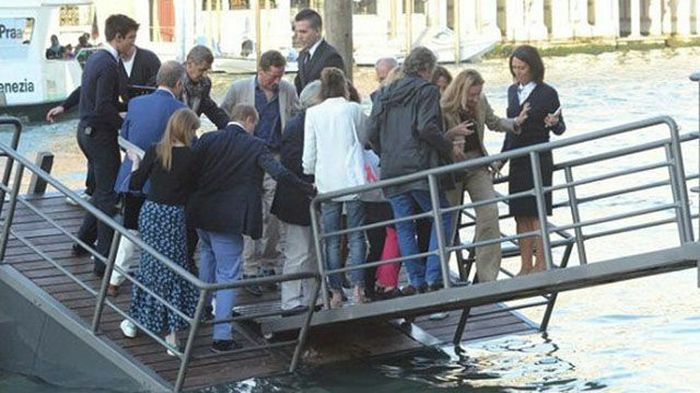 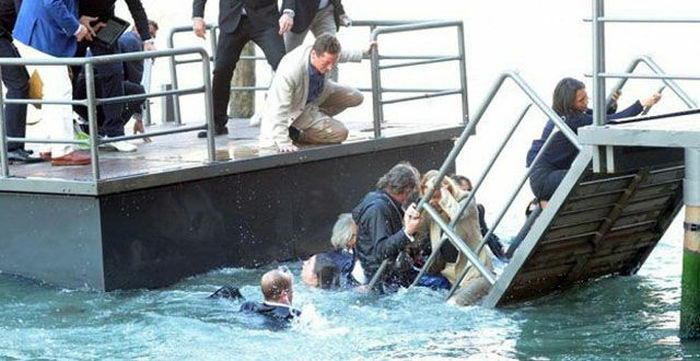 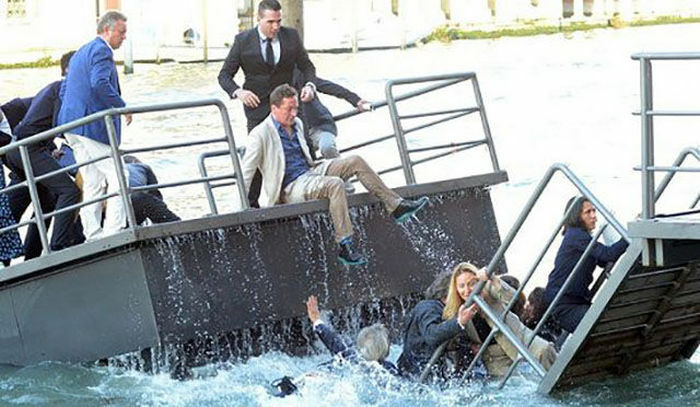 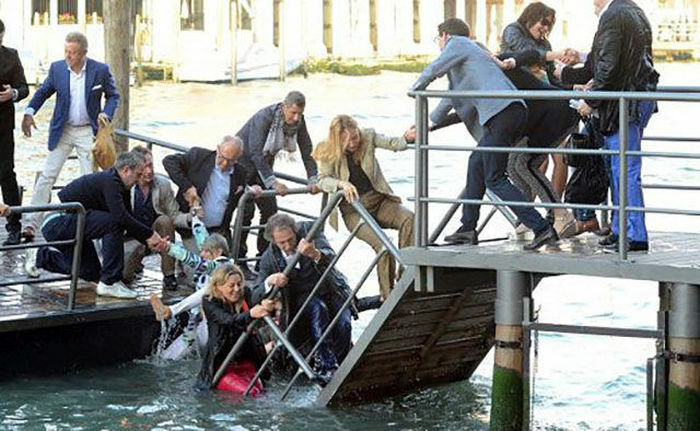 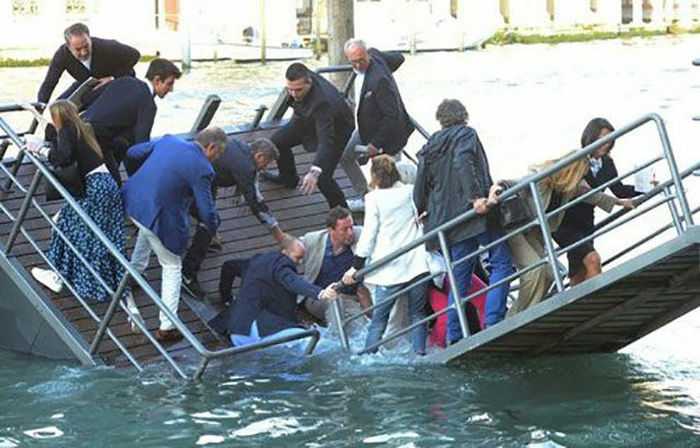 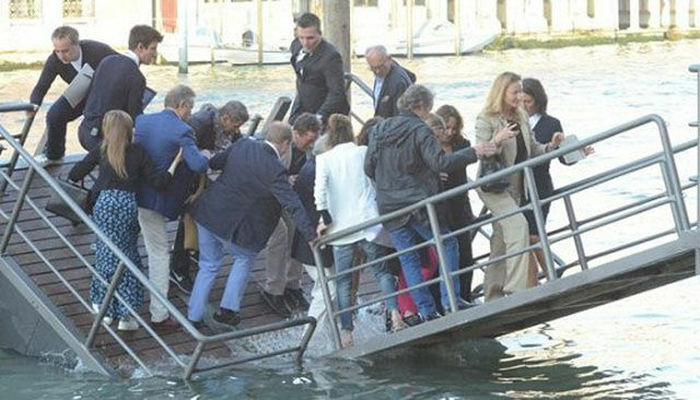 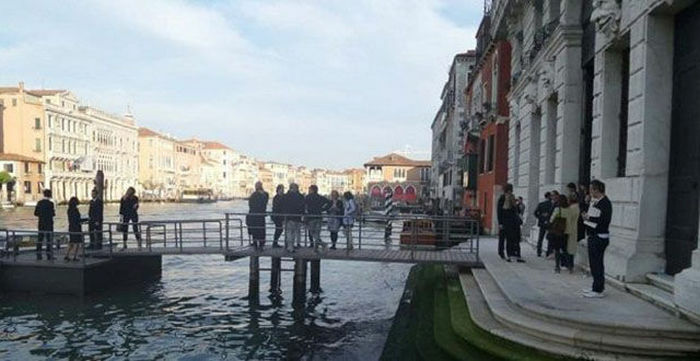 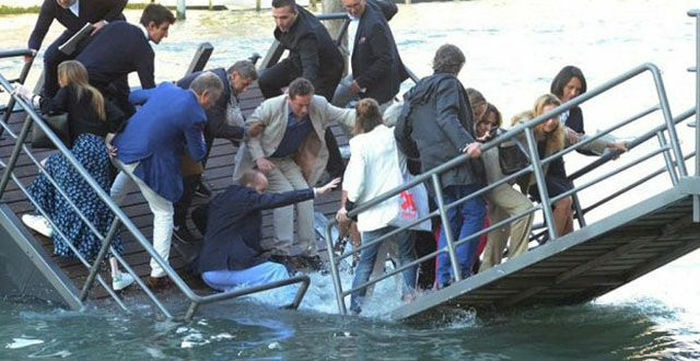 Things didn't go so well for people at this hangout hosted by Prada in Venice. 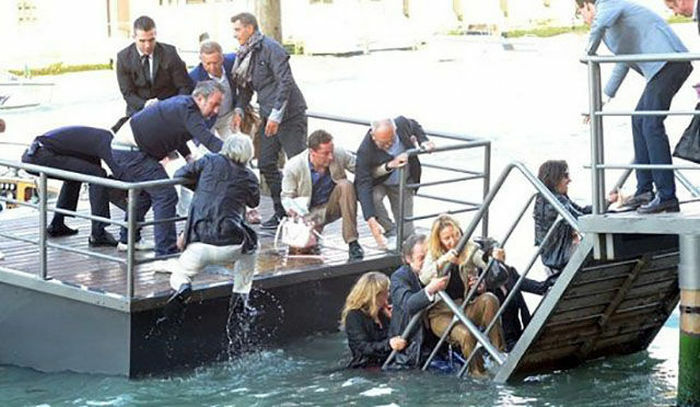 They came to talk about their expensive accessories and instead they just got soaked. 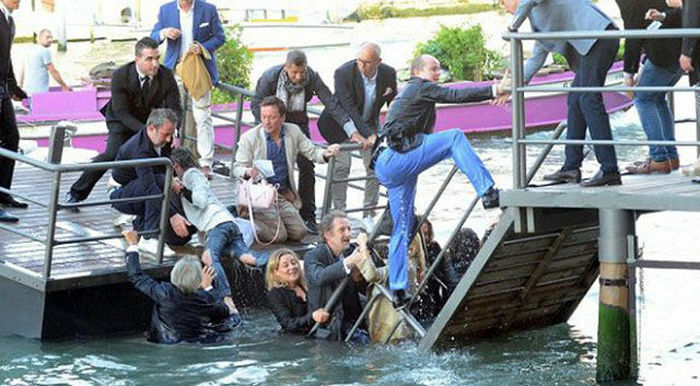 that's a lot of pics of pretty much the same pic.